There are two primary ways to transfer a car loan to another individual: modify with your existing lender or seek a new lender. Modifying with your existing lender will present the least penalties to you, but it may not be the best deal for the new borrower. Seeking a new lender will end up costing you more, but the new borrower will likely see more benefits. Depending on your priorities, you will have both options to choose from. You can contact your lender directly to inform them you will be selling the car and that you would like the loan to go with the car. This is actually what happens when you trade in a car to a dealership before repaying the loan. The lender will be open to the possibility, but you will have to prove the new borrower is credit worthy. 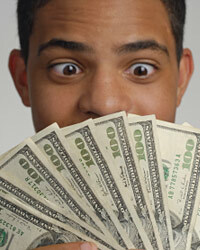 In fact, the new borrower should have equal or better credit than you in order for the transfer to go smoothly. The entire loan will be transferred, meaning it will appear as though you were never a borrower on the car at all. The new borrower will receive the good standing of your loan, but he or she will be on the hook for the entire balance. A new lender will offer to pay off the remaining sum on your loan with a loan issued to the new borrower. This would count as prepayment to the existing lender, which can result in credit score problems for you and financial penalties. The new borrower, however, will likely benefit because the sum remaining is smaller than the initial principal. This smaller loan would typically come with lower monthly payments, lower interest rates and other benefits to the new borrower. When you elect to transfer a car loan, ensure you transfer all of the car's documents as well. You can change the title holder on a car at your local DMV. There should be instructions on the back of the title for how to change the title to another name. Some titles will allow you to simply write in the new owner. Others will request you fill out a change in title with the DMV officially. This varies by state. If you do opt to go with a new lender for the car loan, you will also need to change the lien holder on file. The lender will typically do this part themselves. You will need to make sure the new borrower meets insurance requirements placed by the lender. Ask the lender what these requirements are. If you are passing the car to a child or relative who will remain under your insurance plan, then you do not need to be as concerned with this step. You will still want to be sure the new owner is listed on the insurance policy, which can result in higher insurance payments. This is particularly true if the new owner is under the age of 25 or a new driver. Can a personal car loan be transferred to a business auto loan? Personal auto loans and business auto loans are slightly different in structure. Business auto loans tend to be larger and encompass multiple vehicles. As a result, it is not common to transfer a personal loan directly to a business loan. However, you may be able to prepay your current loan and refinance the business loan to include the vehicle. You can carry out a direct transfer only if the business auto loan currently in place happens to be with the same lender as your personal loan. If no business loan is in place, you will be able to transfer if the business uses the same lender as you personally used. Can you loan a car to your children in another state without changing the title or insurance? When you loan a car to an out-of-state driver, your car title, insurance and registration will continue to be valid. Even if the borrower is in your family, the legal issue can be complicated. Mainly, your child must be on your insurance in order to be covered in the case of an accident. When you add the driver, you will have to declare where the car will be driven and for what purpose. Further, you should add the child's name to your title in order for police officers to validate the car is not stolen. If you do not take these measures, your child could be stopped and arrested for driving uninsured in a car he or she does not own.